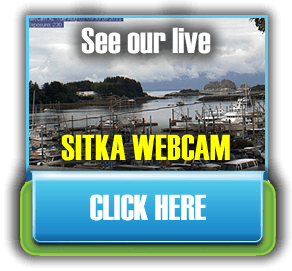 Click “Refresh” in your browser to see the most recent photo of Sitka Harbor from our webcam. Live Webcam at Wild Strawberry Lodge, Sitka, Alaska, with a view of the harbor & Mount Edgecumbe. "Greg and I really enjoyed ourselves. You have a first class resort! Your crew was very professional. The food was fantastic. Everything was perfect!"